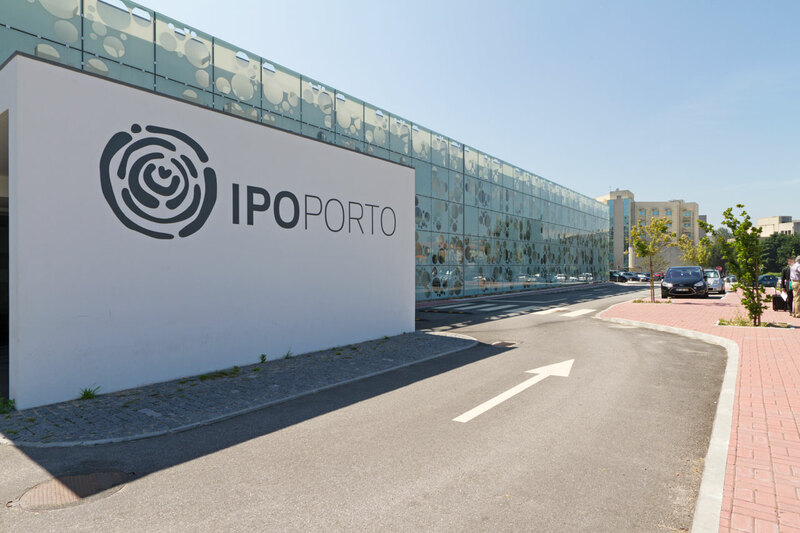 With over 6.000 m2 area, the new external radiotherapy centre Ipo-Porto is the largest unit in the Iberian Peninsula. 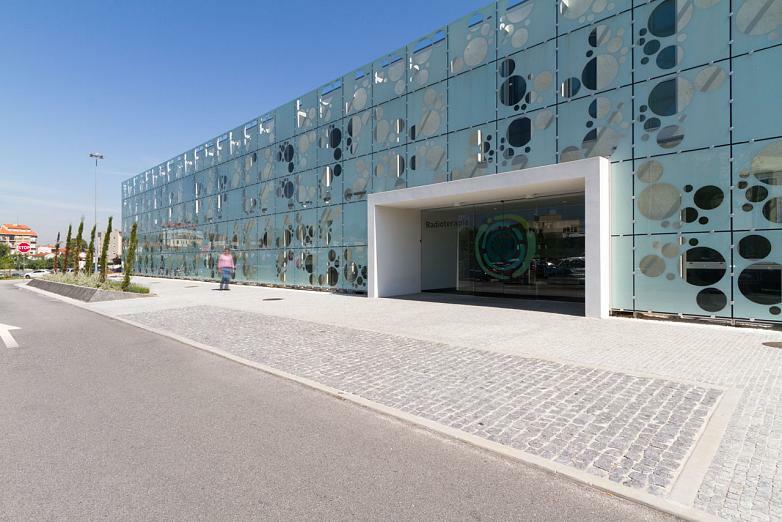 It is dedicated to treatment, research, training and education, the new centre has ten rooms equipped with 16 offices and 7 accelerated lines (equipment for radiotherapy) The new radiotherapy unit works as an outpatients and incorporates the capacity to carry out 17 simultaneous treatments. 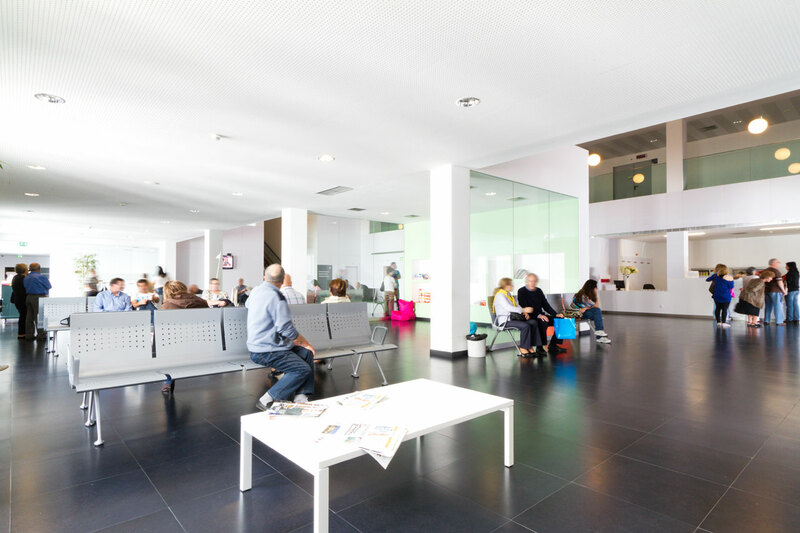 With a current average of 80.000 radiotherapy sessions per year, the new service enables access to treatment for all its patients in the northern region of the country. 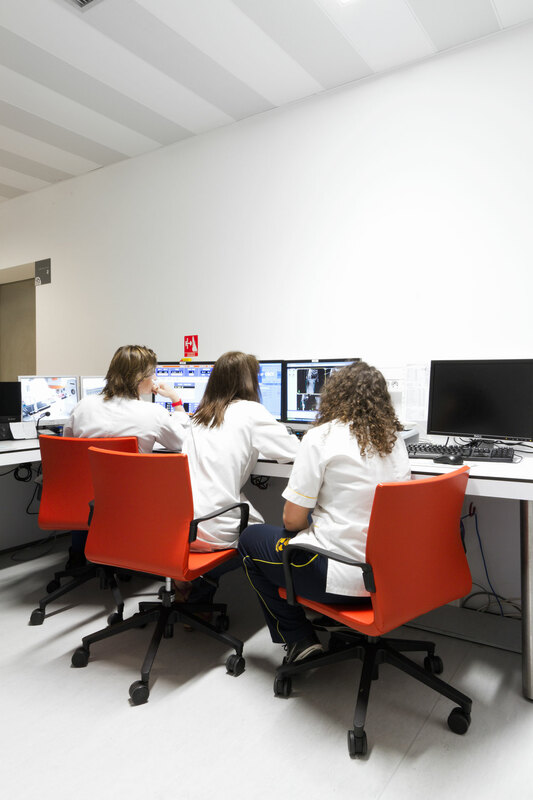 Furthermore, this centre is available to the university for physicists, radiologists and doctors. 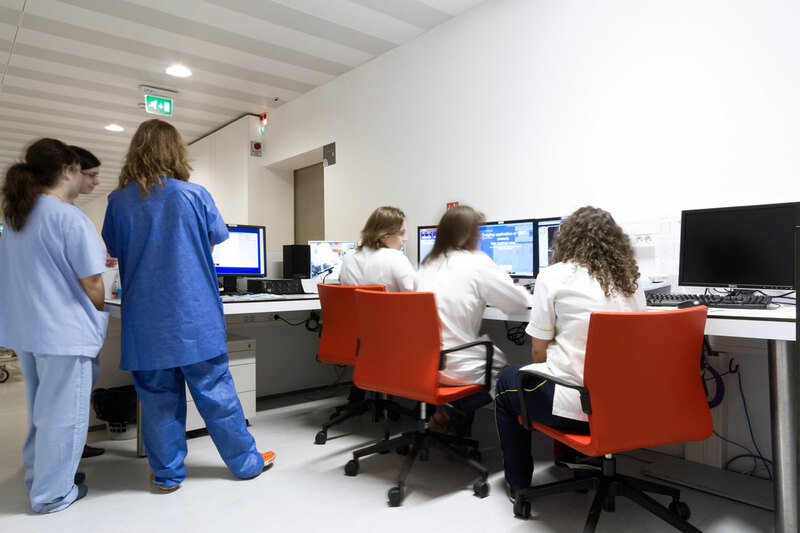 Included in the future are scientific research programs. 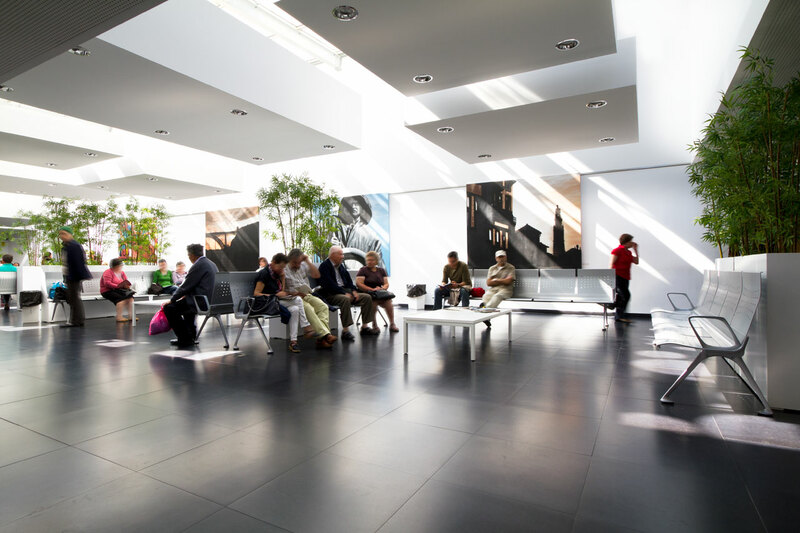 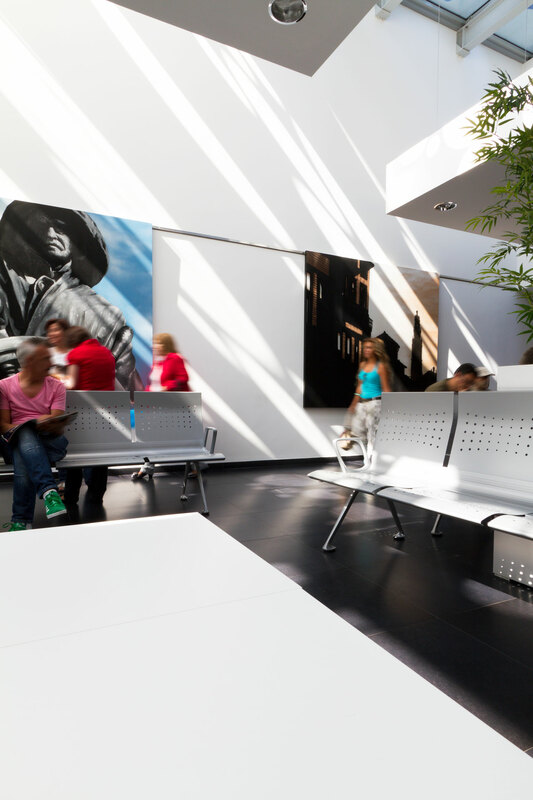 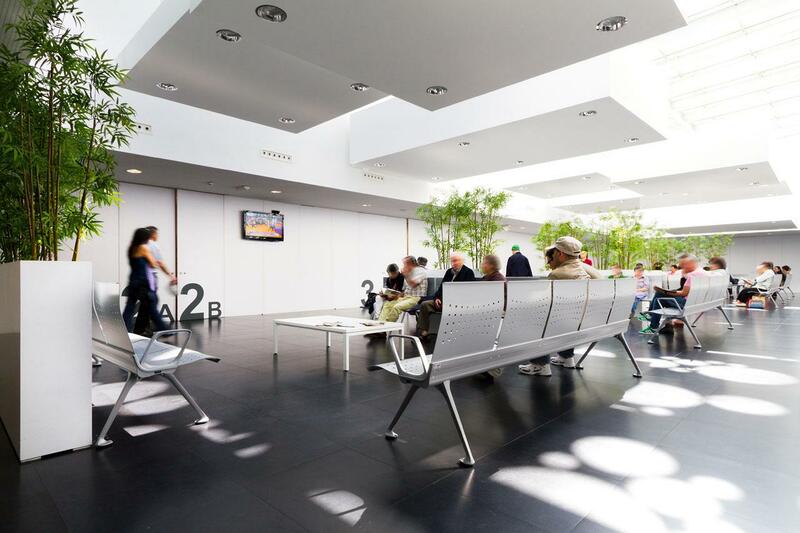 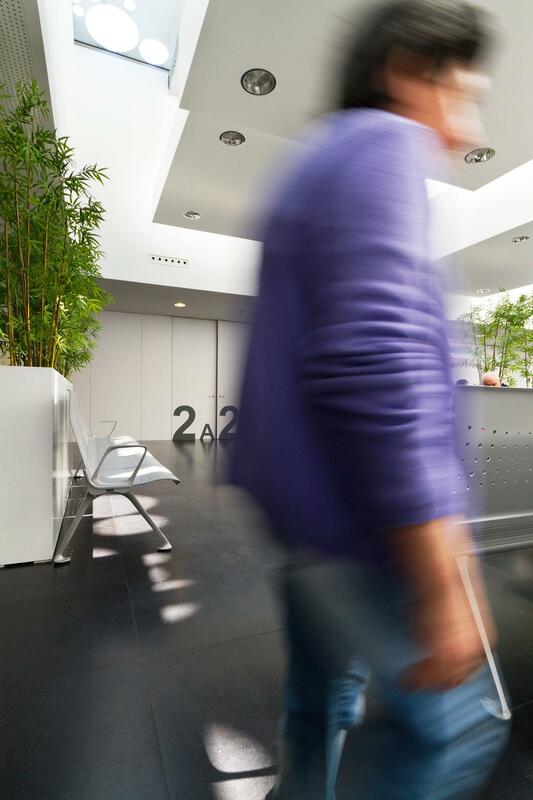 Actiu has equipped the spacious waiting areas with Transit benches, the perfect bet when it comes to equipping public spaces designed for intensive use of waiting and high traffic areas. 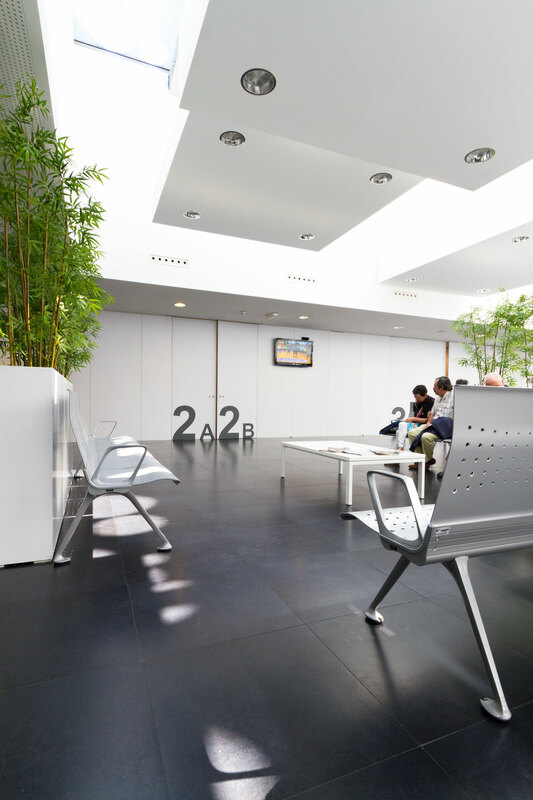 We have chose the version in steel, resistant, avant-garde, easy maintenance and clean. 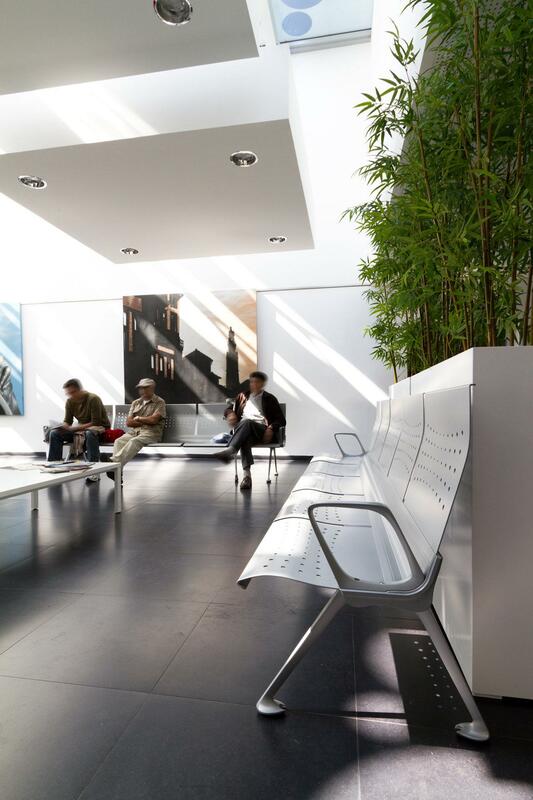 The seat and the back are joined by a central extruded aluminium beam. 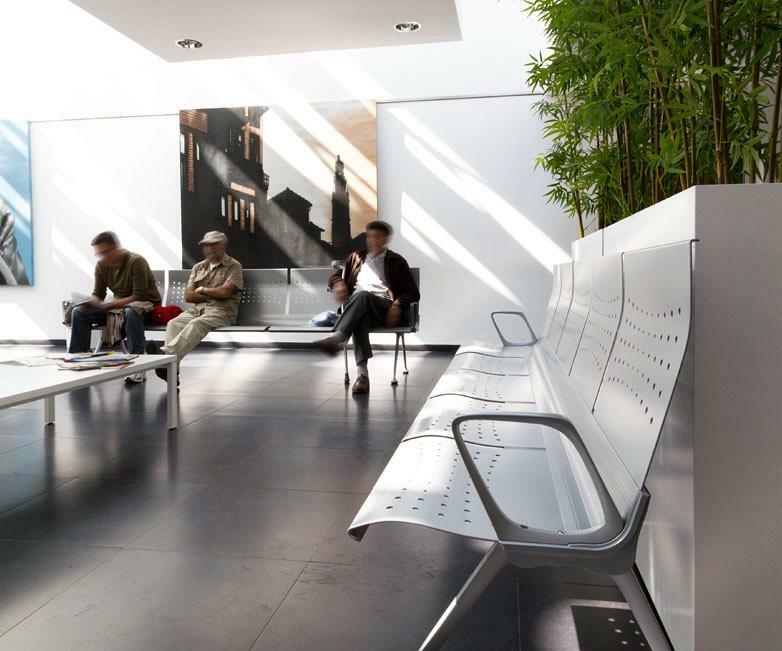 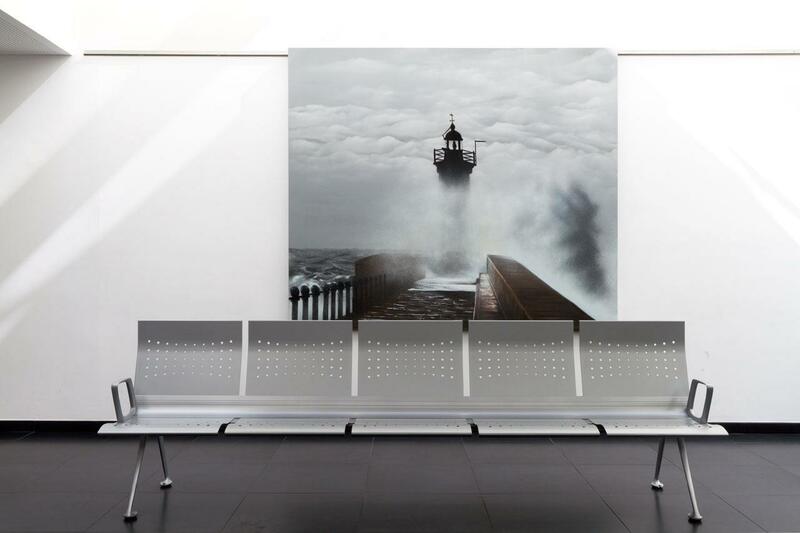 The Transit bench was the finalist for the Delta 2009 award for its innovative design and was nominated for the Design Prize 2011. 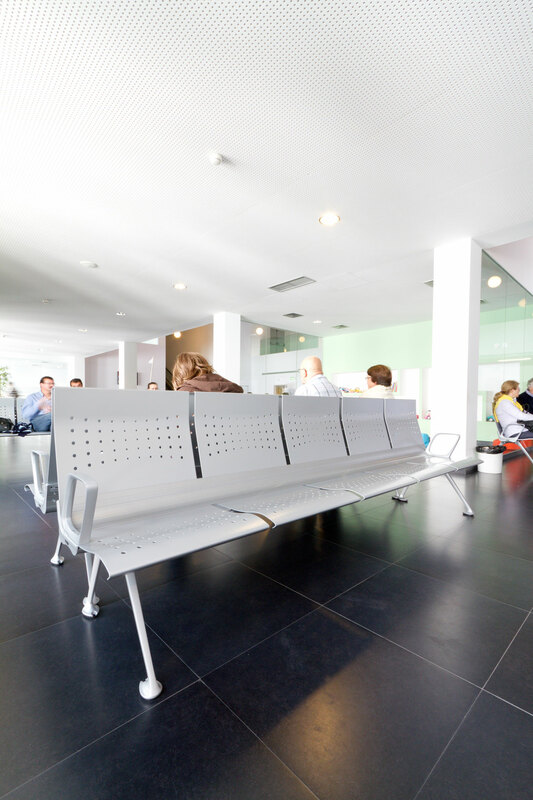 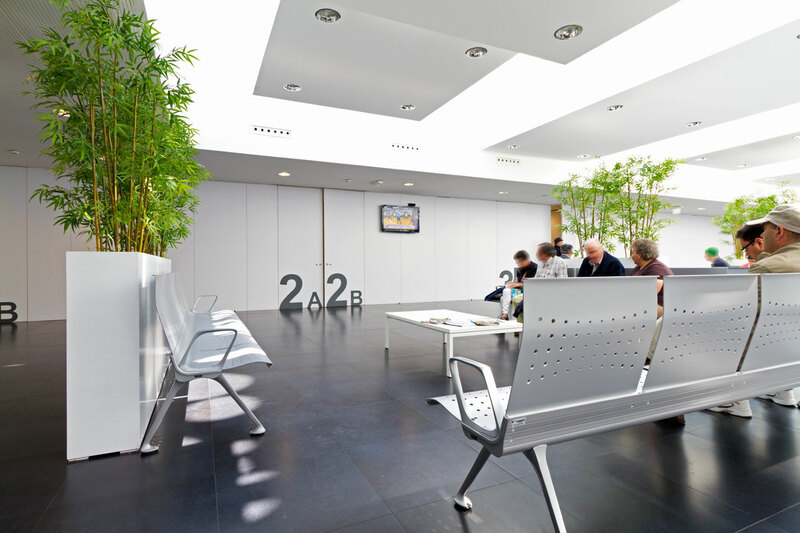 In addition to the elegant design of the structure and legs, the feet of the bench incorporate an antibacterial treatment, highly recommended for hospital and medical environments. 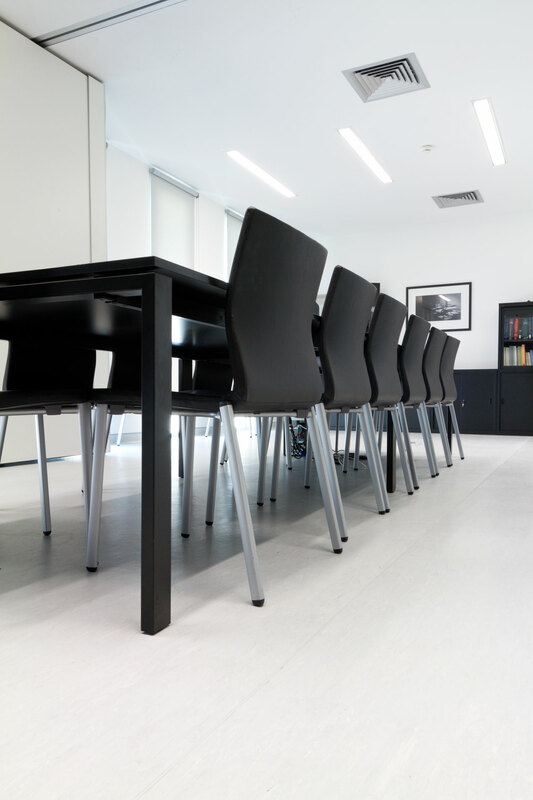 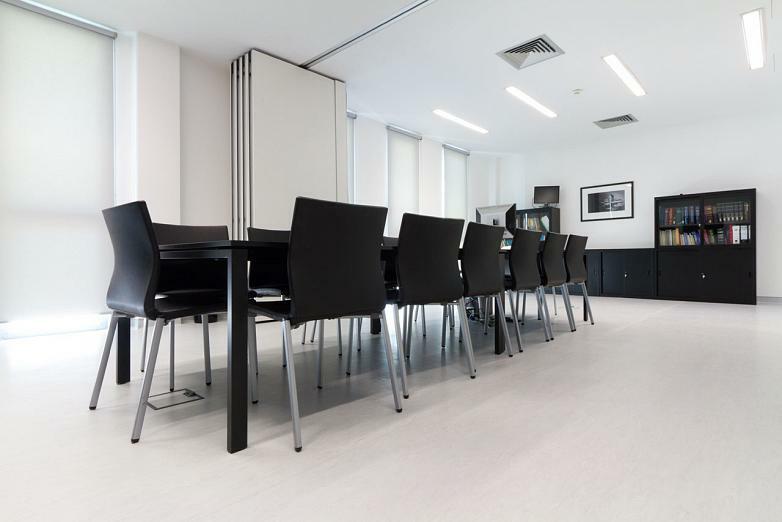 For the meeting rooms the UMA multi-purpose chair was chosen, with legs and upholstered in black. A chair with a wide range of finishes and models which can adapt the product to more demanding spaces. 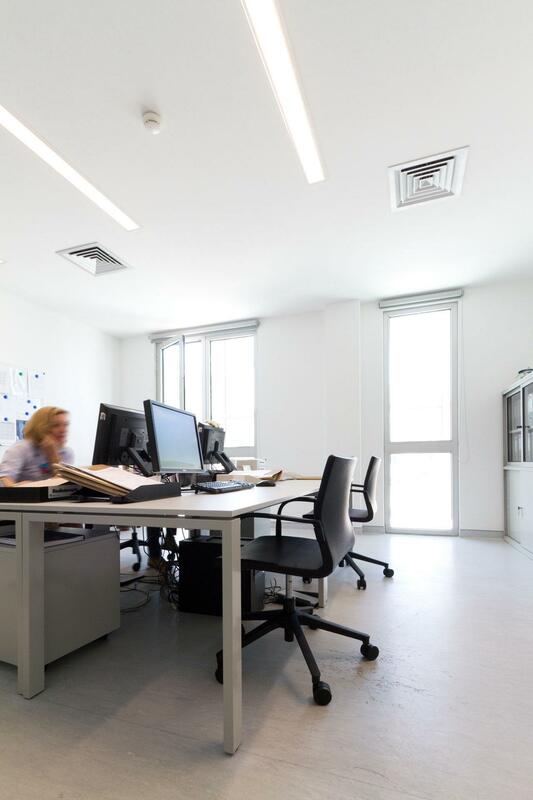 In the offices, treatment rooms and research areas UMA has been combined in black and red (depending on the space), with gas elevation and castors to achieve greater agility in its movements. 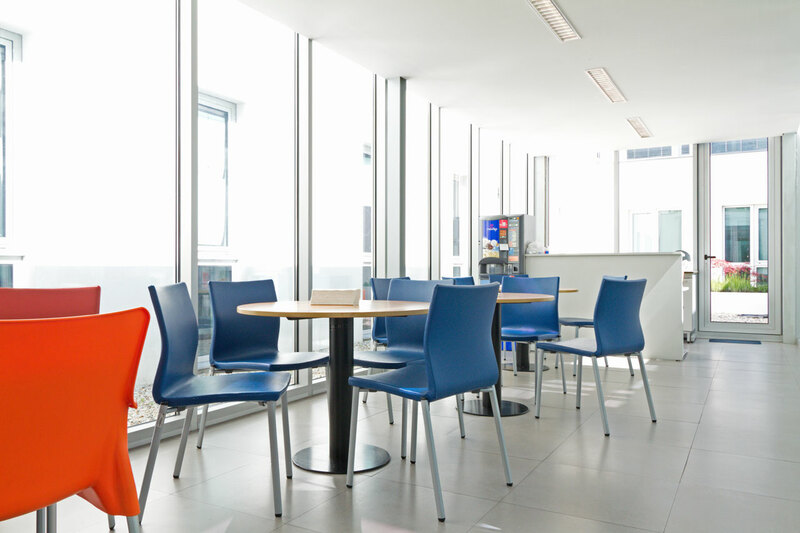 Even in the cafe area, with a more cheerful and informal colour, UMA fits in smoothly without any problems. 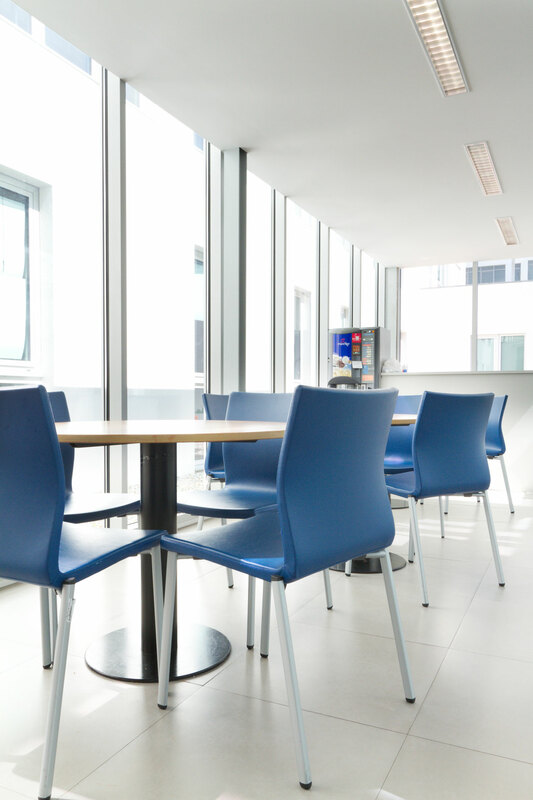 It offers convenience and comfort which is provided by its interior steel structure covered with polyurethane foam.